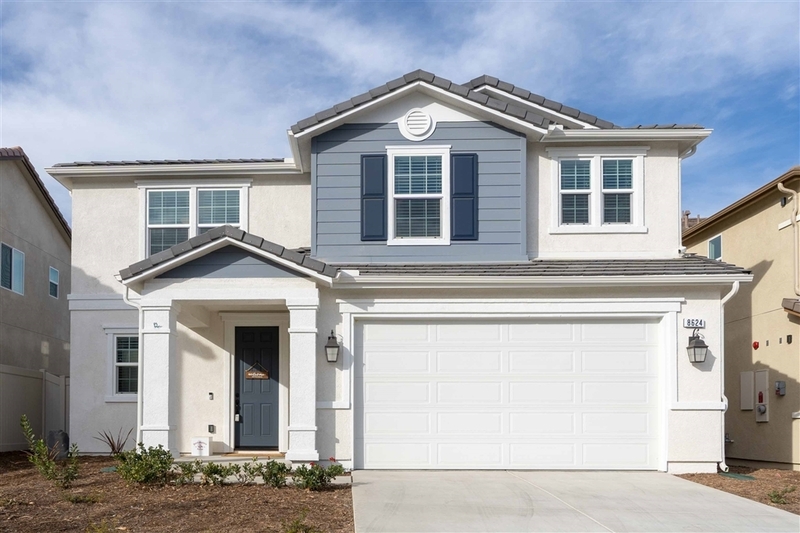 Stunning Move In Ready Santee home built in 2018 with fantastic upgrades throughout & Energy Star Certified! NO Mello Roos! OWNED SOLAR! located at the top of the neighborhood on a quiet cul de sac. This 4 bed & 2.5 bath home on a premium lot w/ large a landscaped backyard, open concept floor plan, vinyl wood plank floors downstairs, gorgeous kitchen with custom island, quartz counters & stainless steel appliances, dual zone AC & heating, prewired stereo system indoors and out and so much more!